Time to Pick the Winner!! And thanks again to Martingale for partnering with us on this exciting giveaway! Posted in Friends of Marcus Fabrics, New from Marcus Fabrics, Quilting Projects	| Tagged Collectors' Gallery, fabric giveaway, Faye Burgos, Marcus Brothers, Marcus Fabrics, patriotic quilts, Red, shopmartingale.com, white and blue quilt"
Decorating trends featuring red and blue remain strong — from Redwork embroidery and Americana country settings to more contemporary looks, their appeal continues. The addition of cream gives each color a fresh, clean look. 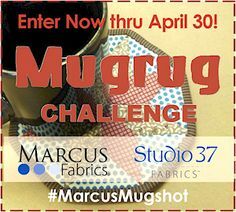 So as we were launching COLLECTORS’ GALLERY by Faye Burgos, we were especially excited to see so much quilt inspiration available to go along with it. Case in point: Red, White, and Sometimes Blue, published by Martingale. 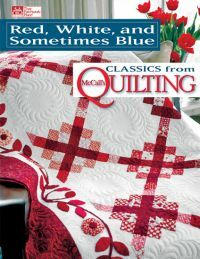 The book is a compilation of classic red and white, blue and white, and combined color projects from the pages of McCall’s Quilting magazine. 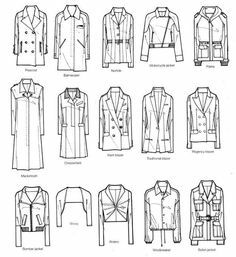 Choose from the 17 projects, including pieced and appliqued, scrappy and tailored that go far beyond patriotic themes. You’re sure to find lots of ways to highlight Faye’s lush florals, textures, and 1″ Strip-It prints, too. We figured it was a natural giveaway, so we’ve partnered with our quilt buddies at Martingale to offer a “Book & Bundle” prize to a lucky winner, Comment below for a chance to win a copy of the book along with a 12-pack of BLUE half-yard cuts!, then visit the Martingale blog and comment again to increase your chances of winning! Good Luck, everyone! 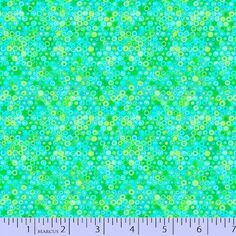 McCall’s Quilting Loves Faye Burgos Florals! Fresh on my desk this morning: The new Jan/Feb 2015 issue of McCall’s Quilting magazine. And gracing the cover is their “Cottage Romance” design, made up of prints from AMERICAN BOUQUET and SIDEWALK CAFE, both by Faye Burgos. As you can see, her classic florals combine beautifully in this generous 96″ square quilt. This issue contains Part 1 of the 6-part series, resulting in this gorgeous quilt at the end of the year. Enjoy the creative process in two-month intervals, as well as the convenience of a Kit, available through the magazine. A recent Quilter’s Newsletter blog post features Faye Burgos’ frighteningly fun Halloween H’Owl panel design, and even offers it in a convenient kit. Check out all of its project picks for Halloween fun! Think it’s a bit late? Not really… Halloween has gradually morphed into an entire season rather than just one day, so it’s become popular to decorate with ghouls & goblins from the first touches of cool weather, right on through the autumn season. (Have you noticed people putting up orange lights and elobarate, spooky displays outdoors now, in advance of the Christmas lights?) Enjoy!